2. 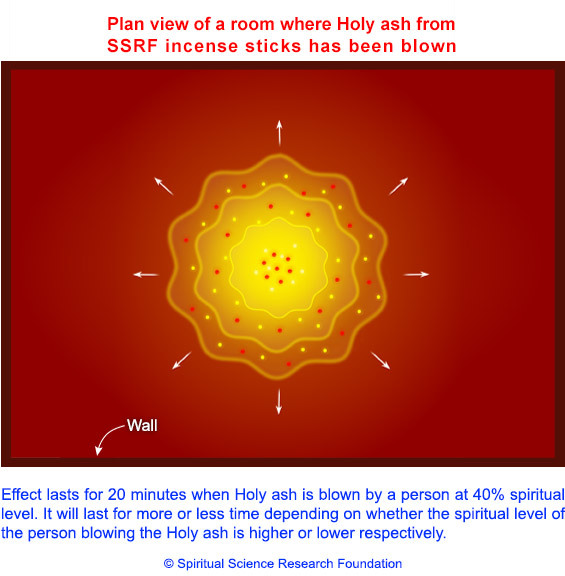 How do we blow Holy ash from SSRF incense sticks as a spiritual healing remedy? 3. 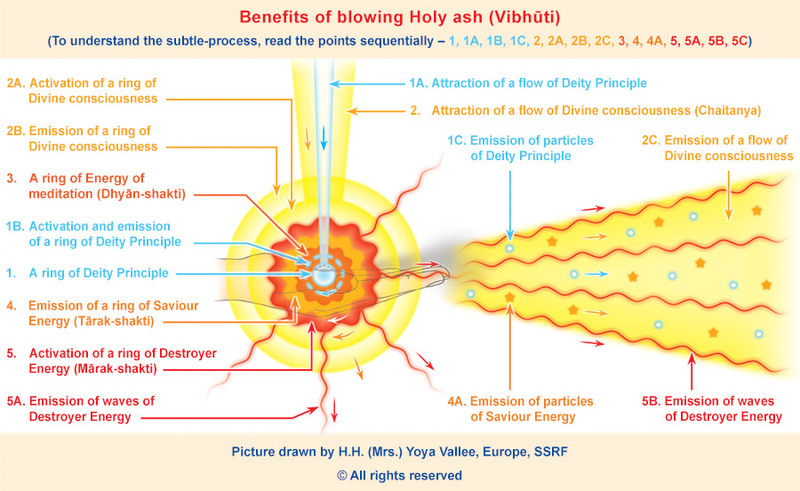 How does blowing Holy ash derived from SSRF incense sticks work? Use of Holy ash (Vibhūti) derived from SSRF incense sticks is a very good and handy self-help spiritual healing remedy that can be used easily to gain positive energy as well as to get relief from distress due to departed ancestors and ghosts (demons, devils, negative energies etc. , etc,, e, et). 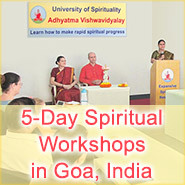 Refer to section on ‘Why ash derived from SSRF incense sticks is Holy’. The Divine consciousness (Chaitanya) in the Holy ash derived from SSRF incense sticks functions at the level of the Absolute Fire Principle (Tējtattva). When it is blown it is complemented by the Absolute Air Principle (Vāyutattva) and hence it functions at an even subtler level. This increases its efficiency. Hence it is able to destroy the black energy in the atmosphere as well as the black energy centres created in the atmosphere. The following drawing based on subtle-Knowledge shows exactly what happens in the subtle-dimension when Holy ash is blown by a person of the 40% spiritual level as seen through subtle-vision. As soon as the Holy ash derived from SSRF incense sticks is blown, the positive energy in it is transmitted in all directions. If there is no negativity or black energy of ghosts (demons, devils, negative energies etc. ), the Holy ash imparts positivity to the atmosphere in the room and to the people in it. If there is any negativity or black energy of ghosts (demons, devils, negative energies etc. ), the particles of Divine consciousness and Divine Energy (Shakti) have a subtle-fight with the black energy of ghosts (demons, devils, negative energies etc.). This has been depicted in three stages as shown in the picture below. An important point is that the positivity increases as the subtle-battle intensifies because God supplies positive energy. Blowing Holy ash derived from SSRF incense sticks imparts positive energy to those without distress from departed ancestors or ghosts (demons, devils, negative energies etc.). Spiritual research has shown that 90% of the world’s population is affected by departed ancestors or ghosts (demons, devils, negative energies etc.) at some time or the other. 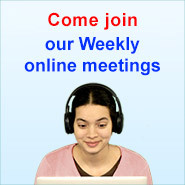 Most people in the world are affected or possessed by ancestors or ghosts (demons, devils, negative energies etc.) from the 1st region of Hell (Pātāl) which is one of the regions in afterlife. 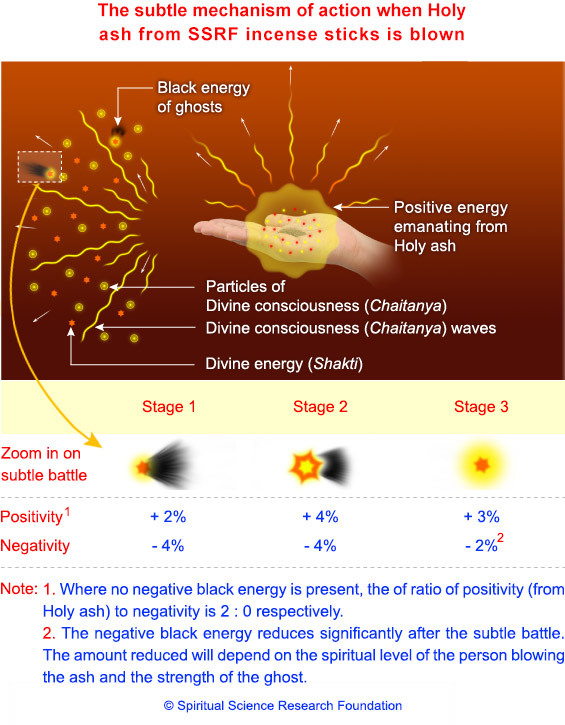 In such cases, the black energy covering created around the person is destroyed by blowing the Holy ash. Thus, the person on whom the Holy ash is blown is relieved of his distress. For those individuals who experience distress due to ghosts from the 2nd region of Hell onwards, the black energy covering created by ghosts (demons, devils, negative energies etc.) is pushed away but not destroyed. Hence the distress caused by their black energy is alleviated temporarily. If there is no fresh attack by the ghosts (demons, devils, negative energies etc. ), the relief can be sustained. But if there is another attack, the distress can recur. In cases where there is a recurrence of distress, blowing of Holy ash needs to be repeated every half hour until the distress disappears. to spiritually purify the premises by blowing it in the premises. The following video demonstrates the effect of blowing of Holy ash from SSRF incense sticks on ghosts that have manifested in possessed persons. The ghost reacts harshly against the Divine consciousness in the Holy ash as it causes severe distress to the ghost (demons, devils, negative energies etc.). Regular use of Holy ash along with spiritual practice according to the six basic principles troubles the ghost (demons, devils, negative energies etc.) so much that it has to leave. Recommended for spiritual healing – imparts positive energy, fights negative energies and spiritually purifies the environment. Each pack contains around 20-24 sticks, each stick burns up to 30-40 mins approximately.